"If a guy did this stuff it wouldn't be a rom com, it would be a horror movie." Netflix has had a good run of original films as of late – To All The Boys I’ve Loved Before and Set It Up were both extremely enjoyable – but it seems they’ve hit a snag with their newest offering, Sierra Burgess is a Loser. 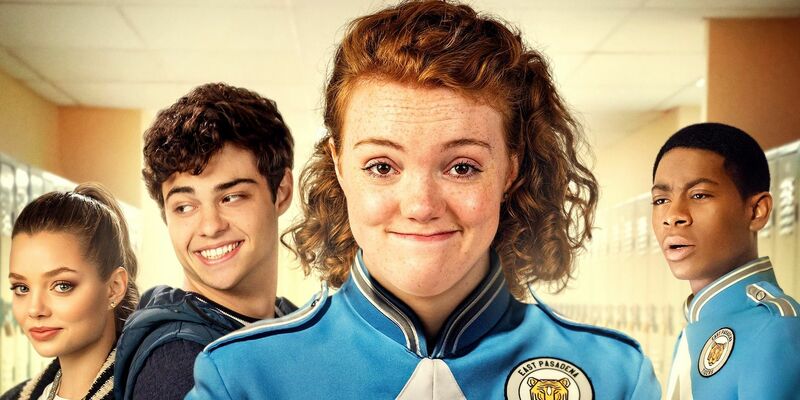 Starring Stranger Things’ Shannon Purser and TATBILB heartthrob Noah Centineo, the film tells the story of Sierra, a smart but unpopular girl who connects via text with hunky football player Jamey… who thinks he’s talking to cheerleader Veronica. People were especially looking forward to Sierra Burgess after the release of Insatiable, the controversial series in which a fat girl loses weight and seeks ‘revenge’ on her bullies. A story about a high school student learning to love herself just as she is? Sign us up! Unfortunately, the film hasn’t lived up to expectations. It’s been criticised for insensitive jokes about the deaf, gay and trans communities, as well as the handling of the catfishing storyline. Spoilers to follow, so don’t pass Noah if you don’t want to know what happens in the film. At one point in the film, Sierra pretends to be deaf so she doesn’t have to speak to Jamey in person and reveal her true identity – the plan backfires when it emerges that Jamey’s brother is actually deaf, and tries to speak to her in sign language. What’s more, Sierra doesn’t have to face any real consequences for leading Jamey on – he forgives her pretty much instantly – but more worryingly for some, the film gets murky about consent. In one scene, Jamey asks Veronica on a date; now in on the ruse, she agrees to go along. When he asks if he can kiss her, she tells him to close his eyes and Sierra jumps in to kiss Jamey instead, letting him believe it’s Veronica. See? Murky AF. im ALL about netflix originals but “Sierra Burgess is a loser” is way creepy and made me feel super uncomfortable the whole time!!!! Viewers haven’t been holding back about Sierra Burgess’ problematic nature, and a petition has even been set up calling on Netflix to stop streaming the movie. Responding to the backlash in an interview with Elle, Shannon Purser said she doesn’t see the film as a romantic comedy, but “a commentary on how we interact on social media”. Even though what [Sierra] does is wrong – very wrong – I think it’s something she sort of gets thrust into, and that doesn’t mean she is absolved of her actions… She’s so heavily influenced by a society that has told her she’s not good enough. Would I personally forgive someone who did that to me? I don’t know. One Twitter user has recut it as a horror film, and well… maybe they should have just gone down that route instead. Have you seen Sierra Burgess Is A Loser? What did you think – harmless fun, or a little uncomfortable?